Made this for dinner on Monday night and it was simply AMAZING. 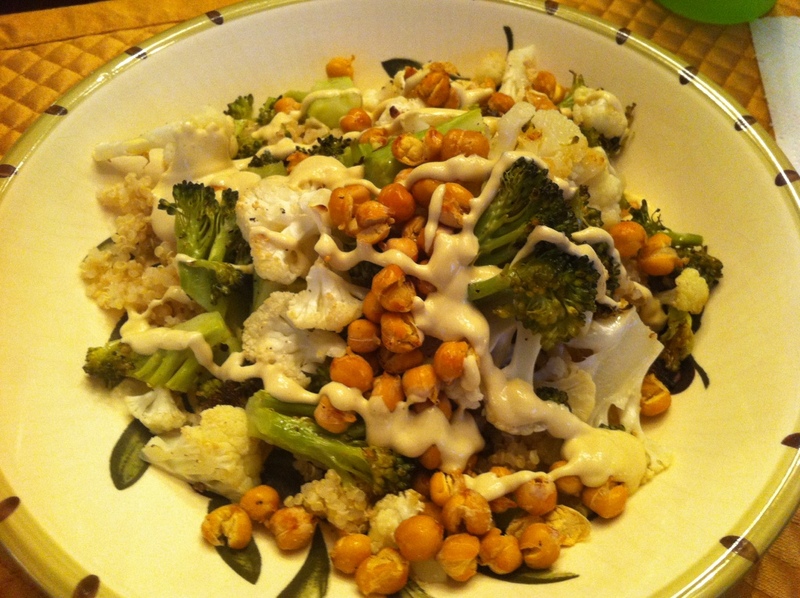 It’s roasted broccoli, cauliflower and chickpeas with a creamy tahini dressing. We served it over quinoa. Click here for instructions on cooking quinoa. Benzo actually made the entire dish while I played with our son once I got home from work. He said it was relatively easy for a weeknight meal but that chopping the vegetables ahead of time would’ve helped a lot. I particularly liked that the ingredients were mostly items our almost 2 year old would eat. We reserved some broccoli and cauliflower and steamed them both separately. I wasn’t sure if the roasted veggies would be soft enough for him. Turned out the broccoli was but the cauliflower wasn’t. Use your own judgment with your own child. We also gave him unroasted chickpeas and plain quinoa. He loved it all except the cauliflower. WIN! It was nice to not have to make something separate for him. We had two very generous servings for dinner and just enough leftovers for two lunches the next day. I was practically skipping to the office kitchen at lunch time. 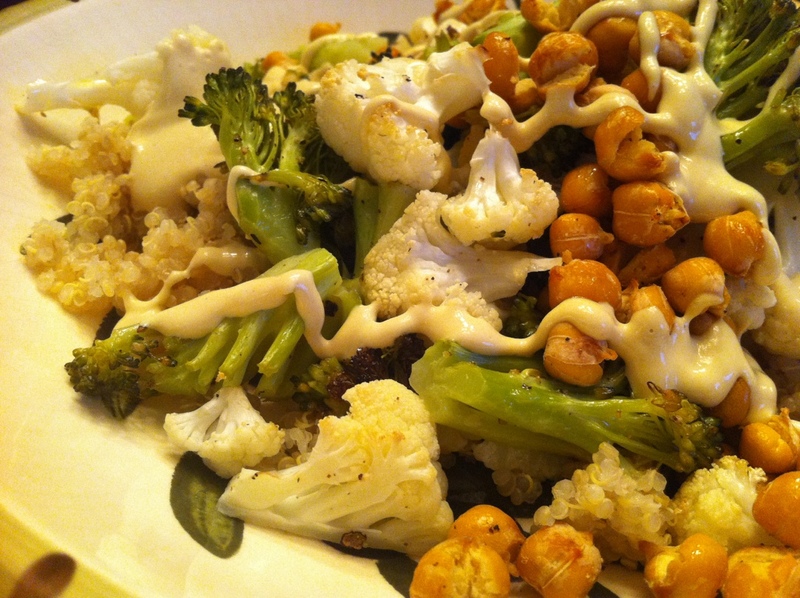 The tahini dressing is simply divine. Highly recommended! We will definitely make this again.